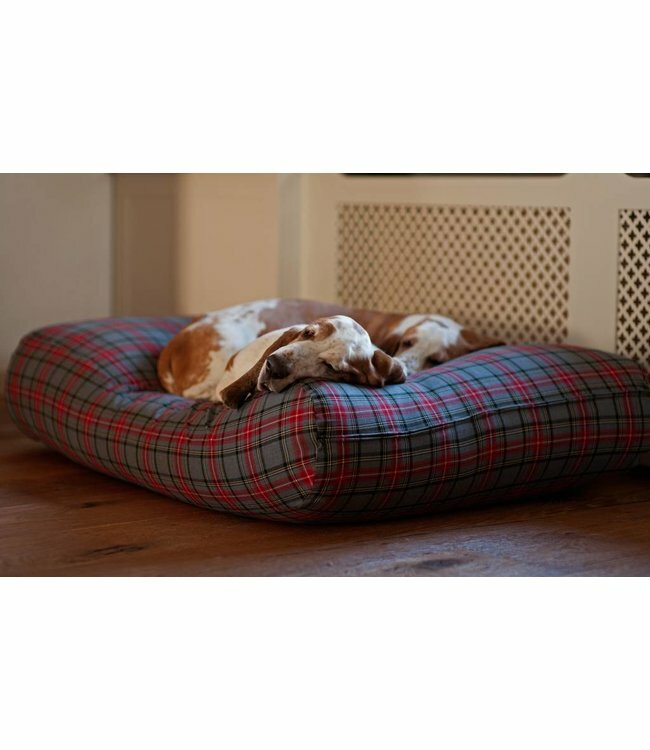 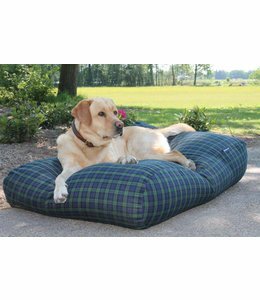 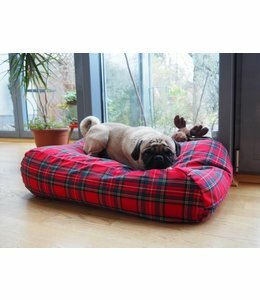 Classic looking tartan dog bed made from a nice cotton fabric gives a timeless look. 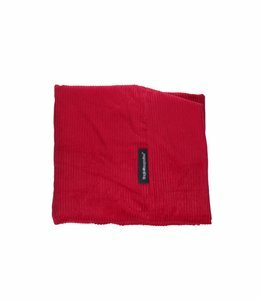 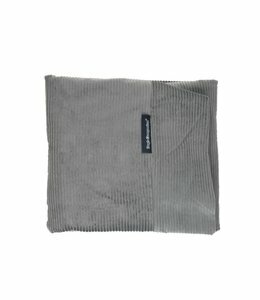 Polyester/Cotton, machine washable at 40°C. 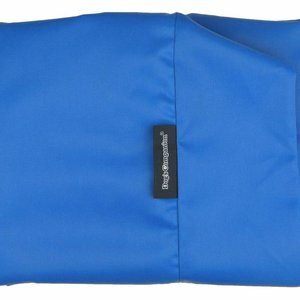 It’s comfortable and provides good support for the body. 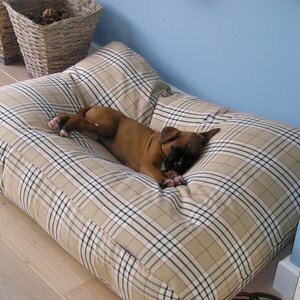 Max loves it and it looks very good in my living room!